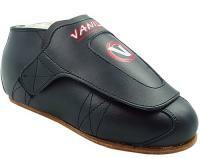 Vanilla Freestyle Black Quad Boot Womens 7. These boots have been drilled for a size 4 rock plate. If you want the plate attached then order the size 4 rock plate in any color. Vanilla Renegade Roller Skate Boot - The newest Derby Boot to come from the masters over at Vanilla Skates. The Vanilla Classic mens or ladies Boot Vanilla Classic with its extremely low break-in time and impeccable fit. Mens sizing 3-12 corresponds to Womens sizing 4-13. New Vanilla Derby Boots with Stitched on Brass Knuckles. These are sized small. Men order one size larger for a perfect fit. This product priced per pair.